Floating is an adventure. Each time you float alone in your tank, you get to go on another solo tour of your body, your mind, and your many inward states. Your expedition can take you in a million directions. Each time you enter that tank, you are excited, because you don't know where you will end up, and sometimes at the end of your float, you don't even know where you've been. The soft music roused you from who knows where. How does the thought of floating make you feel? Jittery? Excited? Maybe you're both nervous and feeling an adrenaline rush at the same time. Well, if you've never floated before, or even if you've floated once or twice, here are some simple ways to enhance your time floating and to make each floating experience better than the last. Before you float, someone will walk you through your floating preparation. Listen to the orientation that your float centre provides. Listen carefully, because your float centre host will cover quite a few points in a short time. They will probably cover these 3 topics: 1) how to prepare yourself just before you float; 2) how to get into and lie down in your float chamber; and 3) what do to right after you get out of your float chamber. That's a lot to remember. So, I'll let you cheat. Here's a rundown on what to do immediately before and after you float. And here are some pointers on what to do and NOT to do once you're inside your float chamber. Before we take a road trip, we usually plan a route. If nothing else, we take the GPS or Google Maps with us, so we know just where we're going and how we're going to get there. It's the same with floating. Before you float, you should acquaint yourself with some of the major benefits of floating. That way, you know what you will want to happen inside your float chamber. For example, did you know that float chambers are one of the best places ever to visualize and see something in your mind's eye? That's why lots of elite athletes float to visualize a new move or skill. Or students float to practice seeing the answers to their exam questions. Or business professionals visualize themselves giving a major presentation. Visualizing is just one of at least a dozen things that floating can really do for you. So, doesn't it make sense to pull out a map of all the major benefits to floating and to figure out which benefits you want to explore? Was there one benefit of floating that especially captured your attention? Did you see a way floating might help you improve some part of your life? Maybe you're really stressed at work and/or at home. Acknowledge it. Maybe you've got some pain that won't go away, or a nagging injury. Acknowledge it. Maybe you're need to inject some creativity into your current work project or your latest art project. Acknowledge it. It helps to drive or ride to your float centre with an idea of what floating might do for you. Be bold. Tell yourself you are going to conduct a floating experiment. Tell yourself it's part of your self-development program. To everything there is a time and a season. There's a time to remember what you've read about floating and what you've heard your float center host say in your orientation. And there's a time to forget. 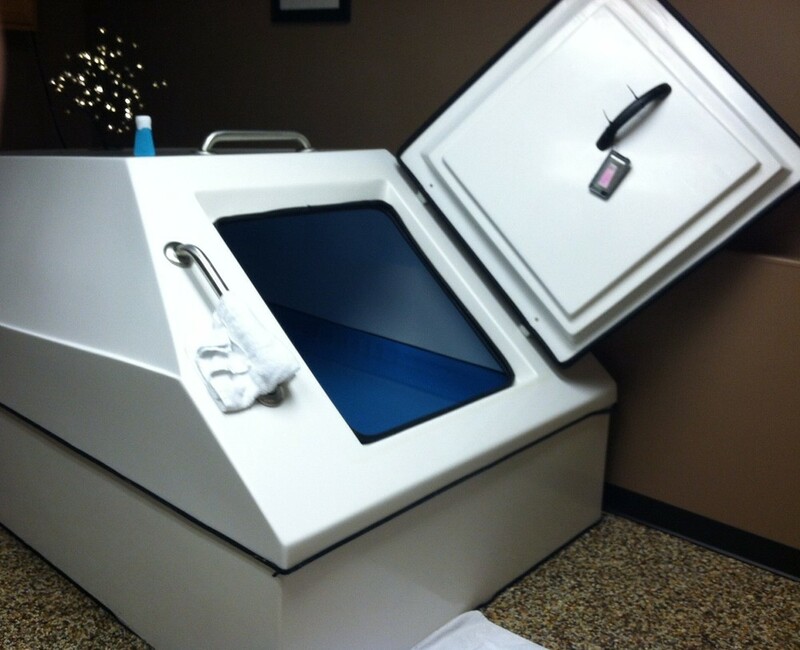 Once you step into your float chamber and close the door and start your float, it's time to forget. You're floating in a comfortable quiet position. So, forget about everything else now. Just go with the flow. Let the float happen. Put away the words. Let the experience unfold. There is nothing more to do than just pay attention from moment to moment to moment. Once the music comes through the water, signalling the end of your 90-minute float, a surprise awaits you. You are really, really relaxed. The last thing you want is to rush. Every part of you is in slow-mode. You will open your eyes to an intensely vivid world that delights your senses. You see and hear in a newly vibrant way. Both you and the world feel new. That's why float centres have post-float lounges. You are not ready to rush out into that big, loud jarring world yet. So, seat yourself and savour not only your tea or water but your post-float glow, too. Remember your mother reminding you to do your homework after school? Well, somewhere between 2 and 14 days after your float, your post-float glow is going to wear off. As it subsides, there's one simple piece of homework to do. Ask yourself, "What benefits did I get from my last float?" In other words, "Did my floating experiment work?" For example maybe you wanted to see if floating helped you with that really painful fall you had. And maybe you've noticed an improvement. Maybe you unintentionally plunged into a meditative state that went deeper than anything that happened to you in all your years of meditative striving. Now, you want to explore that meditative state further. Maybe it's the deep relaxation that especially surprised you, and you find yourself able to think more clearly about a problem that used to tie you up in knots. If you've noticed any such improvement(s), be sure to note that improvement. You might even want to go so far as to note that improvement in a personal log or a journal. After that, you're ready to assign yourself a new floating experiment for your next float. There's a reason most float centres offer multi-float packages. So many of us have issues that are a little more chronic than we realize. It only makes sense that it takes more than one float session to learn to really let go. You cannot experience the full potential of floating in one float. Not nearly. So, to get the most out of floating, get back into that chamber, and remember these 7 ways to make floating the best it can be. Your first float is just the beginning of an incredible new way to develop yourself, expand your potential and discover new dimensions to your wellness. Step into a float chamber, and you step into a different world you never knew existed. It's a world that has its own secrets. But those secrets need to be shared. No, they need to be shouted, because they're too good to keep to yourself. Let me share a few of mine. For starters, I love the way floating introduces you to your body in a whole new way. You find yourself floating with no effort. No kicking your feet, no frantic fluttering of your hands, no fighting gravity to keep your head up. Just effortless floating as the water buoys you up in near zero gravity. That's the 900 lbs of epsom salt working. That's a special feeling you can't get anywhere else. You can feel your back stretch and decompress. The water feels like it's pushing at your back and stretching it out. Ahhhhh. I understand why pregnant women love to float for relief from the extra weight of their baby. If you keep very still, there's one more surprise for you, as you float in your chamber. You don't really know if you're floating in water anymore, because you can't tell where your skin ends and the water or air begins. For all you know, you might be floating in outer space. Once you've settled into your float, your brain shares a few secrets of its own with you too. You've tried to see your hand in front of your face, but even at an inch away, it's too dark. You can only hear your own breathing, nothing else. Then you suddenly realize your brain craves sensory stimuli, but it can't get any while you are silently floating, without sight or sound or touch. So, your brain goes on alert, and your senses sharpen. You really notice that once you finish your float. After your float, colours are more vibrant. Your hearing is sharper. Your entire sensory apparatus becomes far more alive. But your brain supplies its own colourful scenery inside your float chamber, too. About halfway through your float, you can see things in your mind's eye with brilliant clarity. You can mentally visualize with more intensity in a float tank than anywhere else that I know. In the silence of your float chamber, you learn that your brain loves to chatter. It yaps at you for about 20 minutes. But then something weird and wonderful happens. Your brain quiets and time disappears. Once you hear the music at the end of your float session, it's hard to figure out where time went. It can even be hard to figure out where you went. Maybe that's the biggest secret of all. So, those are just a few of the wonderful secrets about why I love floating. They're secrets for you to find out and experience for yourself. Have you experienced anything like what I've described? If you have, then you know there are more great things that floating does to and for you. If you haven't experienced floating, why not check out our Benefits page for even more of floating's wonderful secrets. Sep 3, 2016 Give me a Break! Sign up with your email address to receive news about updates to our blog.